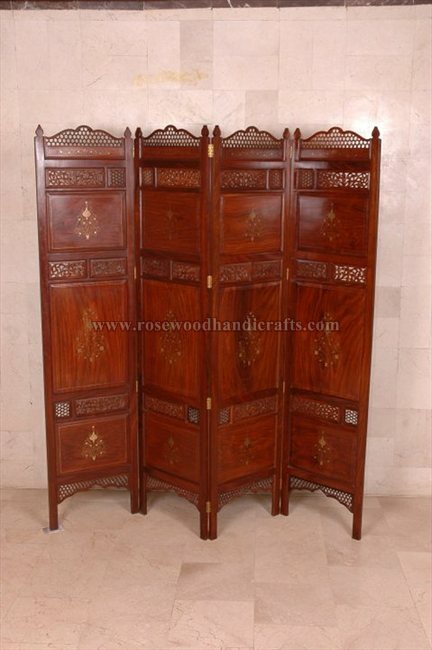 Screens, also called partitions have been used since olden times as room dividers or a decorative panels. 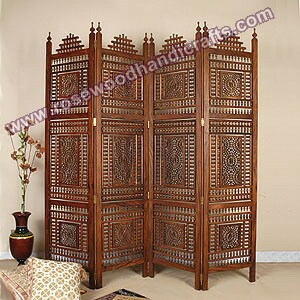 Screens are moveable and are made in jaali (fretwork carving). 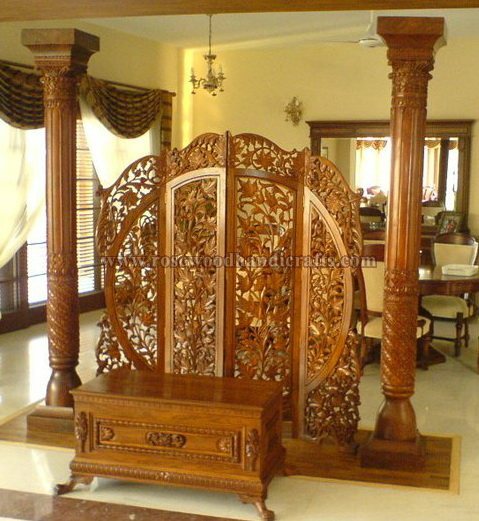 Wooden screen adds a resplendence to the home. 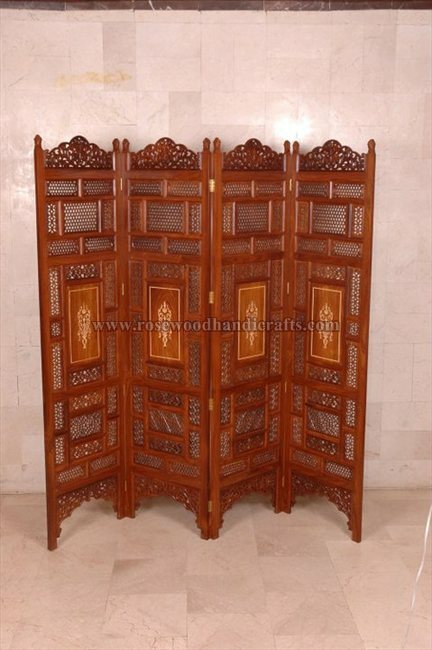 Wooden screens are made from the finest quality wood. 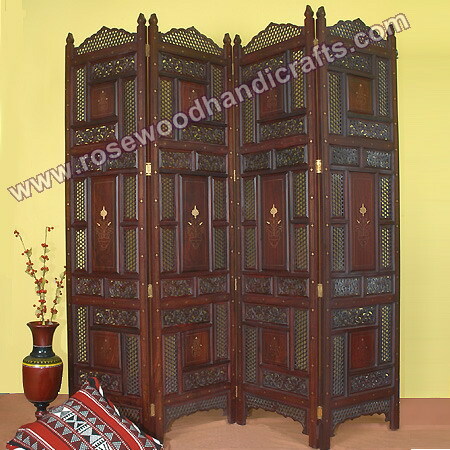 Screens are movable and have fine finishes in natural wood color polish. 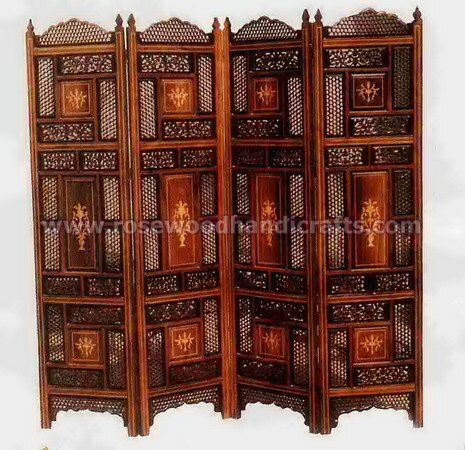 The screens are used in drawing rooms, big halls, and they also make confession box in churches. 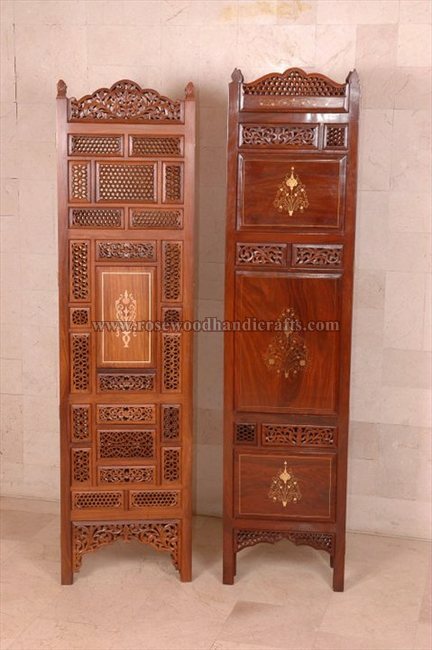 The carving on the screen makes it appropriate to be used in drawing rooms, and lends a distinct, antique look to the complete surroundings. 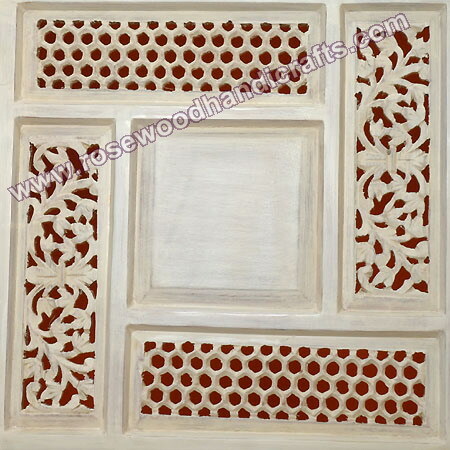 The artisans of the Subcontinent are famed for their gorgeous "jali" or lattice cut-work carvings. 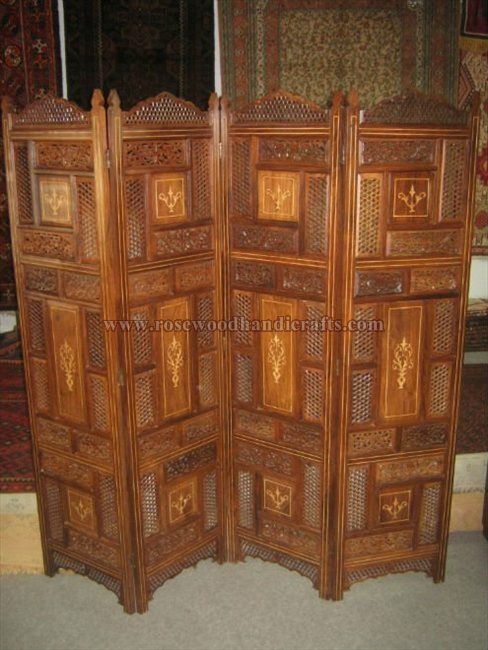 Most ancient pakistani palatial buildings sport jali work on their doors, panels, and windows. 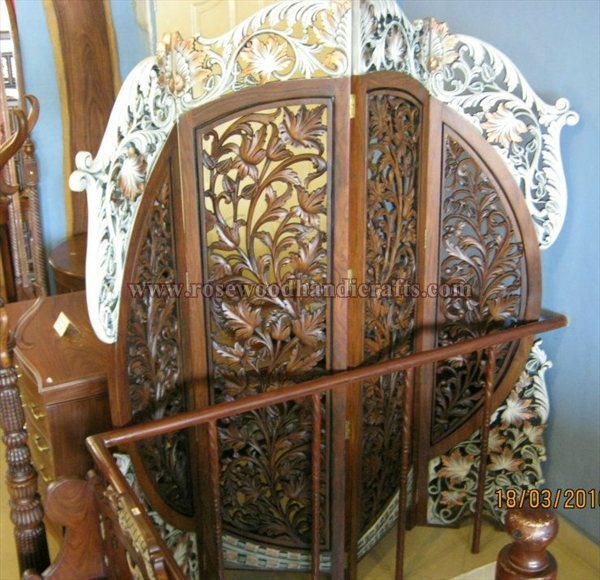 Jali screens, sculpted from wood or stone, were built in the women's quarters, enabling them to view the events of the courts without being seen. 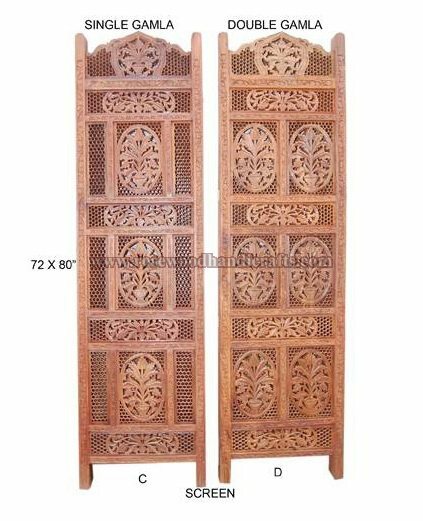 These screens also offered protection from the elements, while allowing the passage of fresh air through their intricate geometric patterns. 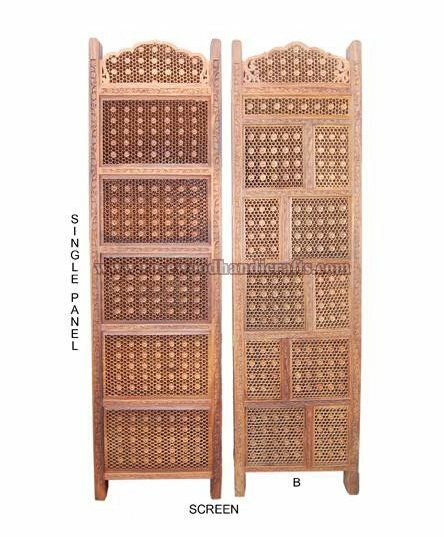 Our Wooden Folding Screen Room Divider is functional as a room partition or divider, and will beautify any room with its stunning hand cut-work. 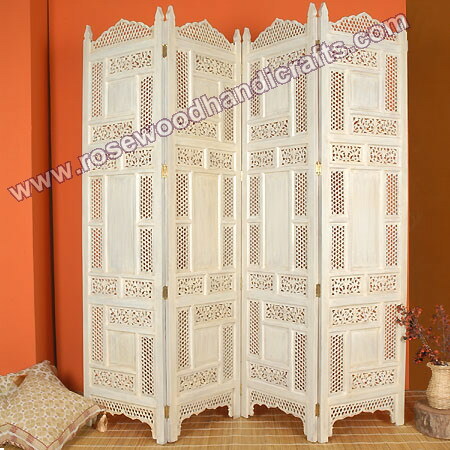 * � Wooden screens can be used in drawing rooms, big halls. 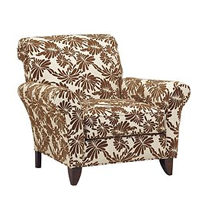 Sometimes, it is also used in confession box in churches. 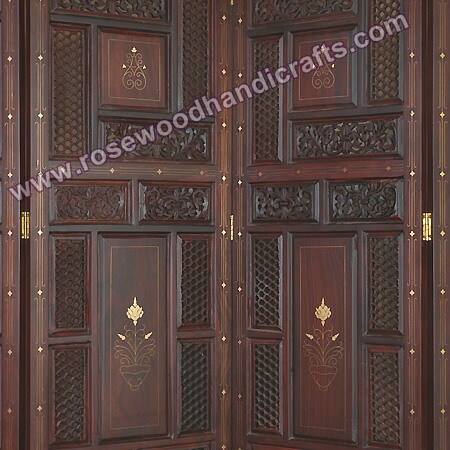 The design and carving on the screen makes it appropriate to be used as per the requirement. 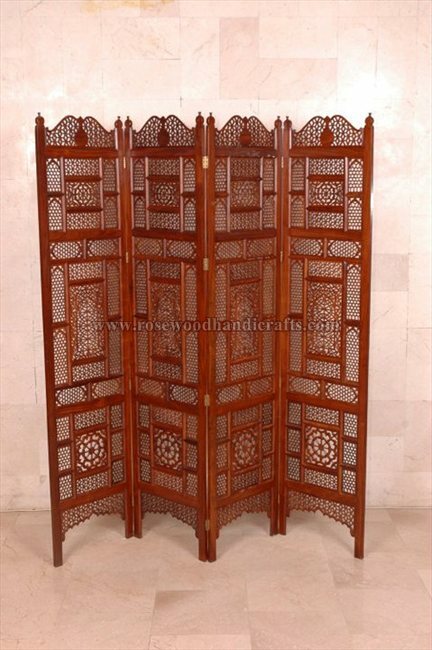 * � Wooden screens have a various range of shapes and sizes. 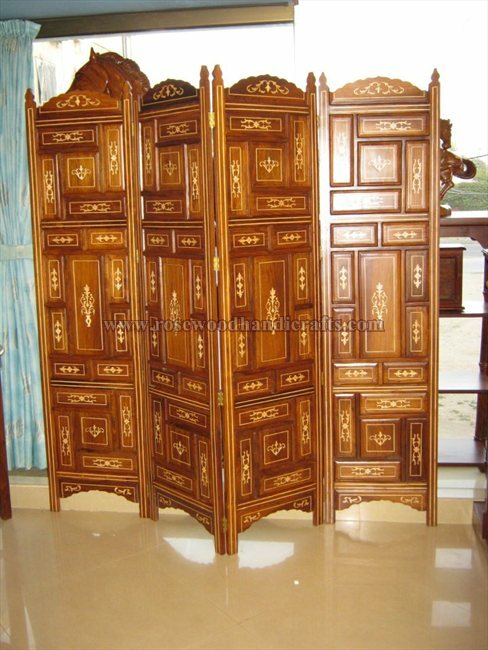 * � Different types of wood eg. 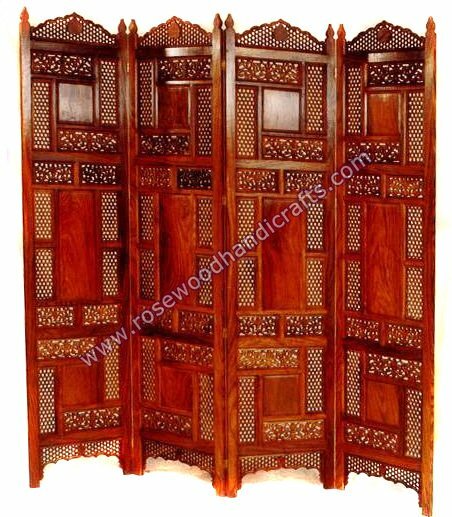 Teak, Red wood, Maple are used for a perfect wooden screen. 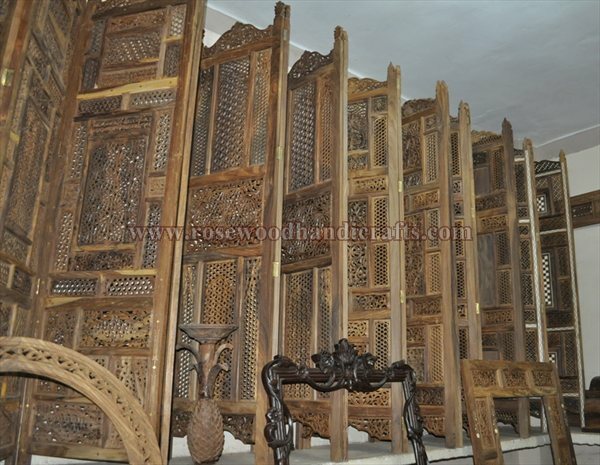 * � Wooden screens are carved in many styles and finishes. 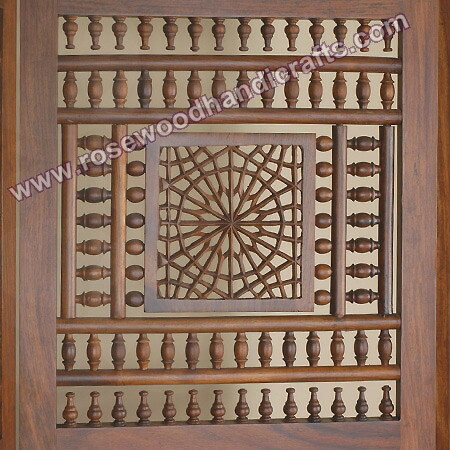 * � Excellent colors like buff, gray, beige and pink are used to make wooden screens attractive. 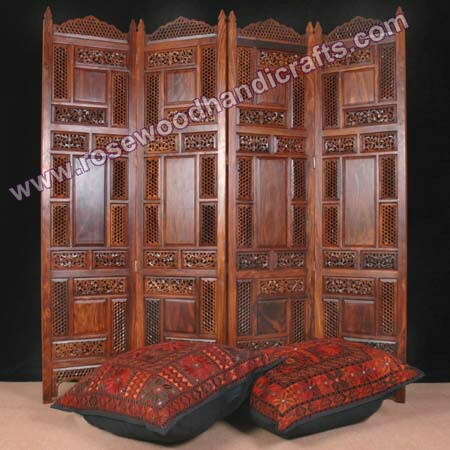 * � All wooden screens are hand made. 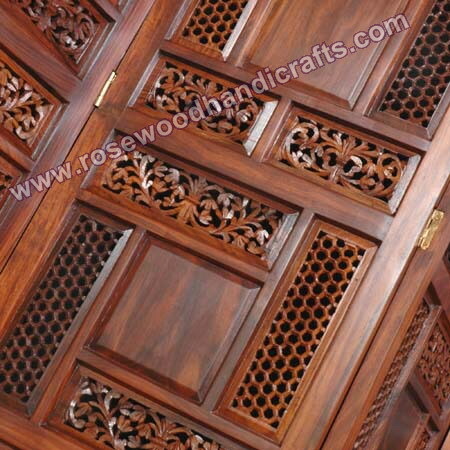 Detail:: Screen contains 4 panels. 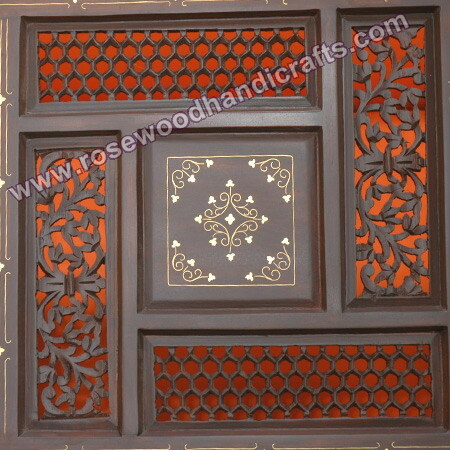 Hand-carved wooden screen with hand cut-work. 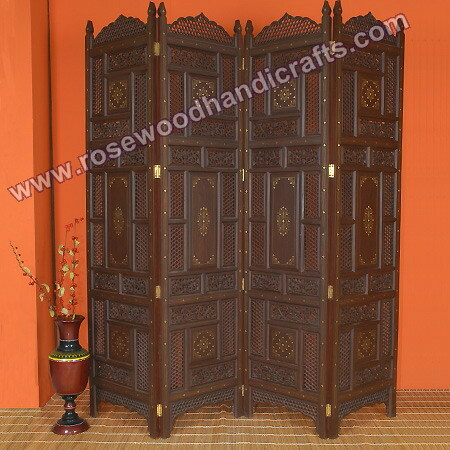 Serves as room partition/divider; Additional photographs are available upon request.